Regenerating Day Cream Complexion leaves the skin feeling noticeably smooth while refreshing any skin tone with light-reflecting, subtly bronzing mineral pigments. In an ideal world we would feed our skin organic ingredients to fully nourish, heal and protect and we wouldn’t have need for make-up and bronzers… however, most of us still need a little help to create a beautifully flawless complexion. 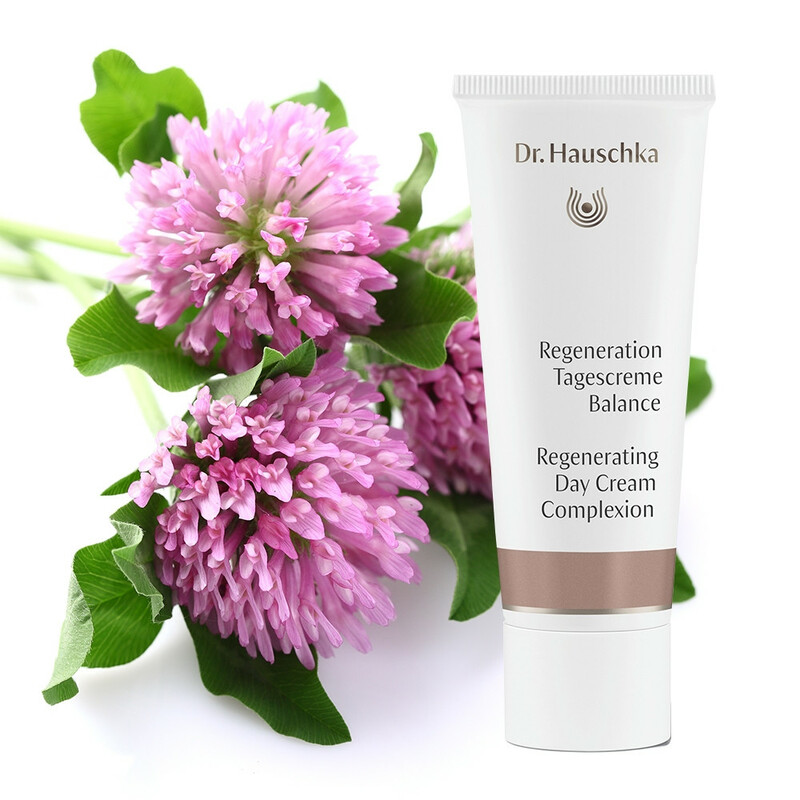 This is where Dr Hauschka’s Regenerating Day Cream Complexion fits in, not only will it reduce the appearance of fine lines and fully nourish the skin, it will also even out skin tone and reduce unwanted pigmentations. This is achieved using a delicate mix of Red Clover and Bryophyllum to maximise moisture, and Avocado and Olive Oil to promote the skin’s regeneration process. This cream is easily absorbed and provides an ideal base for make-up. Application: After cleansing and toning your face in the morning apply the cream evenly to face, neck and décolleté. For best results use alongside Regenerating Serum, applying the Serum first followed by the Day Cream. This is an ideal base for make-up. Tip: Regenerating Day Cream Complexion is perfect for using with other products from the ‘Regenerating’ range, including; Regenerating Eye Cream, Regenerating Serum, Regenerating Neck and Décolleté Cream and Regenerating Intensive Treatment.